Celebrating young talent in the Australian restaurant industry, Stefano Manfredi and the Manfredi at Bells team invite you to join them on Friday 27th February to honour the 2015 Josephine Pignolet Best Young Chef, Julian Cincotta. Last year we took great pleasure celebrating with 2014 winner Louis Tikaram of Longrain ,while this year we celebrate Julian and his passion for Mediterranean food. 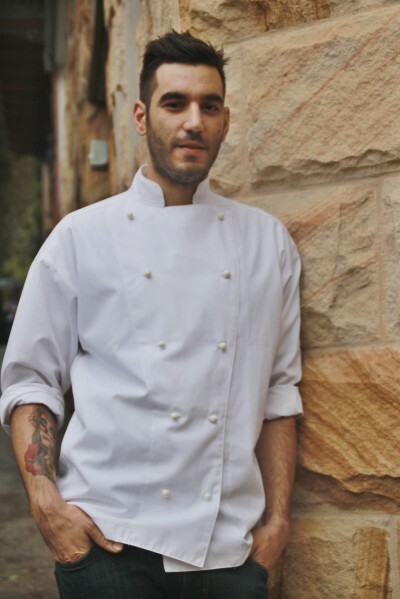 Recognised as one of Australia’s most promising young chefs, Julian Cincotta, formerly of Nomad, is invited as guest chef by Stefano Manfredi and will collaborate with Bells’ Head Chef Marco Ribechini and the Manfredi at Bells team, treating guests to dishes with Mediterranean inspired flavours. Julian’s menu includes Churros with Greek labneh, Kingfish Lebanese Nayeh, Shortrib with Moroccan smoked eggplant to showcase his philosophy for well-sustained quality dishes to be enjoyed in family-style shared dining. Julian discovered his love of cooking at age sixteen in his Dad’s café in Westmead. After 2 years as a young apprentice, Julian joined the Rockpool Group where he worked at both the Sydney and Melbourne Rockpool Bar and Grill before travelling to the US. Julian tried his hand at both Alinea and with Charlie Trotter before returning to Australia where he took on his most notable role as sous chef at Restaurant Nomad under the direction of his close friend Nathan Sasi. Julian explored the forgotten skills of the kitchen, curing, smoking, baking and making all produce in house, and developed his unique cooking style. The Josephine Pignolet award was initiated in 1989 by Damien Pignolet as part of the SMH Good Food Guide Awards publication. Judged by a panel of industry experts including Damien, Simon Johnson, Margie Agostini and Neil Perry, the winning chef is given the opportunity to be flown overseas to train in a restaurant of their choosing. The Manfredi’s celebrate 30 years of service to the Australian food industry and as part of this service, make an ongoing commitment to the Josephine Pignolet Best Young Chef Award, to help young chefs realise their dreams.